With all due respect to the early game featuring Loyola Chicago vs Michigan, that is the undercard and the main event is Kansas vs. Villanova. Everyone loves an underdog and a good Cinderella story, but Kansas vs. Villanova provides us a pair of No. 1 teams battling to claim a championship! Final Four Sportsbook Special: Bet on Kansas vs Villanova now with a special bonus, that you can only get when you click here! Villanova opened up as (-5) point favorites and although the point spread has moved numerous times on this game, the line still sits at five points. The latest wiseguy watch shows that over 55% of the bets on this game are on Kansas to keep it close. That is the public number; however, the wise guys may be laying low. 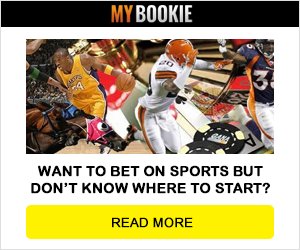 The best sportsbook to bet on basketball currently is showing you that the latest odds are something that you want to keep an eye on. The Jayhawks can spread the ball around and they have five players that can score in double digits on any given night. The Wildcats have cruised to this spot in the tournament and they have won every game by double digits. Villanova’s Jalen Brunson and Kansas’ Devonte Graham are the stars to watch in this game. The underdog is 4-1 against the spread (ATS) but Kansas is just 4-10 ATS in the last 14 games against the Big East. The Wildcats are 21-8 ATS in their last 29 neutral site games and 52-21-1 ATS in their last 74 non-conference games. In a high scoring game, Villanova pulls off the win and the cover with another double digit victory!